Arnica is a plant in the sunflower family whose flowers have been used as medicine since the 1500s. It continues to be used today to soothe muscle aches and joint pain, to care for bruises and to promote healthy internal response. 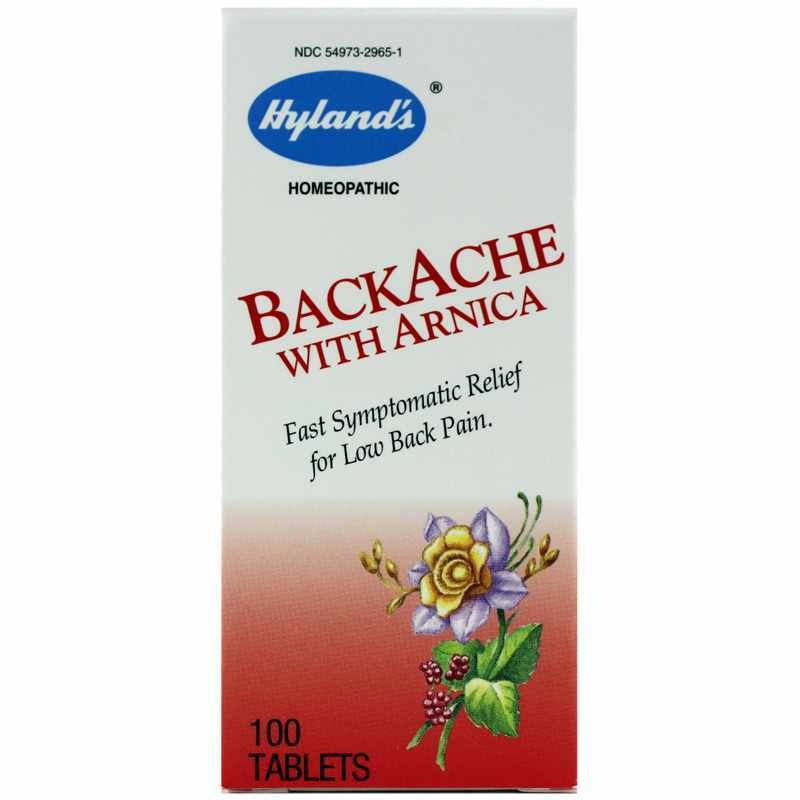 Hyland's offers a homeopathic formula called Backache with Arnica that provides support for relieving muscular back pain. Recommended use is for adults and children over 12 years of age to dissolve two to three tablets under the tongue every four hours or as needed. If you're looking for a homeopathic formula that provides support for temporary relief of symptoms of low back pain due to strain or overexertion, check into Backache with Arnica by Hyland's. Order online today! 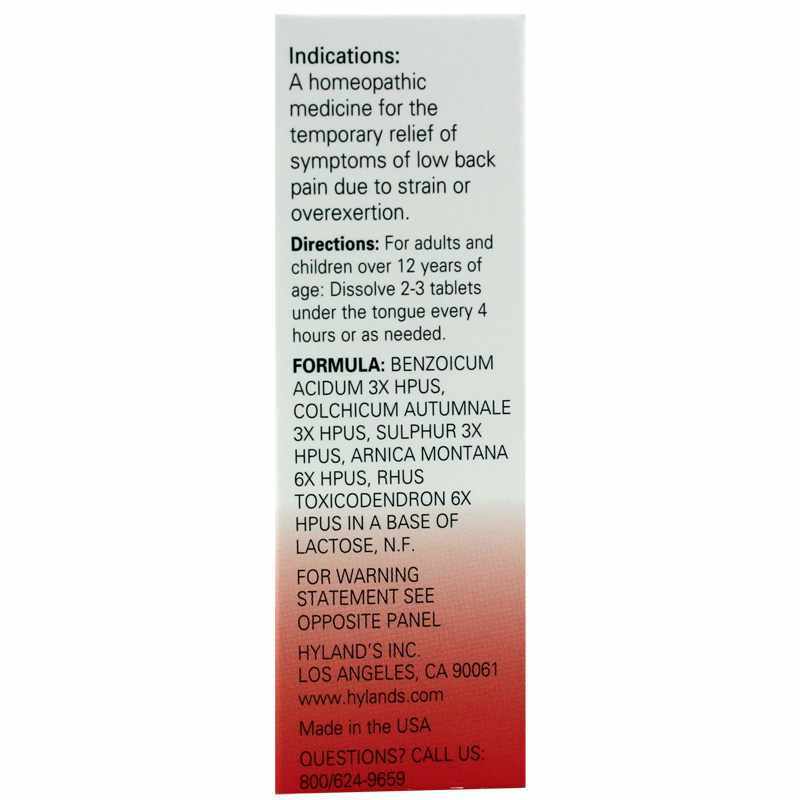 Dissolve 2 to 3 tablets under the tongue every 4 hours or as needed. As with any drug, if you are pregnant or nursing, seek the advice of a licensed healthcare professional before using this product. If symptoms persist for more than 7 days or worsen, consult a licensed healthcare professional. Do not use if imprinted cap band is broken or missing. Keep this and all medications out of the reach of children. In case of accidental overdose, contact a poison control center immediately.